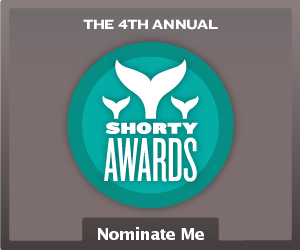 A Shorty Award nomination!?! Oh my! Wow I can't even explain how geeked I am by the possibility to be able to take part in the the 2012 Short Awards this spring. What are the Shorty Awards you say? They are awards celebrating media contributions in 140 cid="img"haracters or less. If you have never checked out my Twitter account @AliceGraphix, you should do so now. 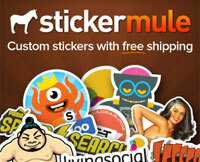 Its chalked full of helpful art & design tips. Plus I like to send out sneak peaks of upcoming designs for my followers to check out. 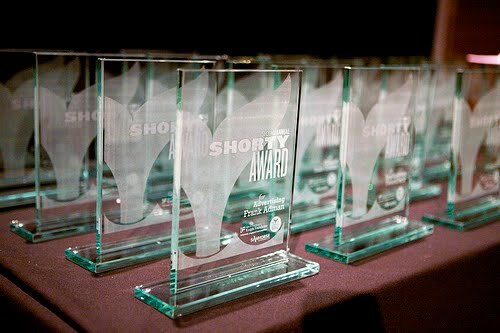 The Shorty Awards honor the best of social media, recognizing the people and organizations producing real-time short form content across Twitter, Facebook, Tumblr, YouTube, Foursquare, and the rest of the social Web. The public is invited to nominate social media users for excellence over the past year. Each award recognizes a content creator's entire body of work, not just an individual tweet or post. You can help show your support for myself, aka Alice Graphix, by following the link below & following the instructions to send a tweet with your short reason why I should win. Voting is open until February 17, 2012. Thank you all ahead of time for all of your votes & support!